Join our Goodwill Ambassador Program and get paid up to $150 for new member referrals. We Have a Lot Going on This Week & Next for the Active Investor… Workshops, Meetings, Webcasts & More! 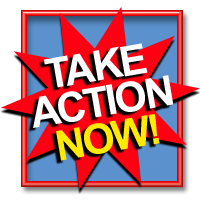 Mon, Jan 10th: Haves & Wants Speed Marketing Replay is Online! 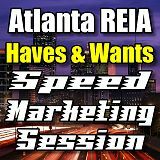 This is our very first Haves and Wants Speed Marketing Session that we recorded live at our January 3, 2011 New Year Atlanta REIA Meeting. This is a new 30 minute session at our Atlanta REIA Main Monthly Meeting that starts at 6:00 PM on the 1st Monday of the month and is hosted by Joe Thompson. Join us at our next Atlanta REIA Meeting on Feb 7th at W Hotel Atlanta Perimeter and you too can take part in the Speed Marketing Session. Thanks Joe and Alan for making this possible. Watch Now! If you already registered for Ron LeGrand’s Fast Track to Wealth Seminar on Jan 15th, you are invited to the Pre-Event Call at 12:00 PM Noon on January 11th to prepare you for the upcoming training event. You must register for the workshop to get the call in number and password. This is a VERY IMPORTANT CALL and may result in getting you a deal. We will talk about hot to collect leads and what to expect. Ron will be calling many of these leads at the training event. If you haven’t signed up, Register Now so you can be on this important call. On the 2nd Tuesday of each month at 7PM ET, Kimberlee Frank is going to teach you real world investing strategies and techniques that work in today’s troubled economy and real estate market. Register for the Webcast Now! The Haves and Wants Meeting, run by Joe Thompson, is a weekly investor’s brainstorming and deal making jam session held at 5 Seasons Brewing located at 5600 Roswell Rd in Sandy Springs (Map) at the “Prado”. They meet EVERY Thursday (except major holidays) from 1:30 PM till approximately 3:00 PM. The Atlanta REIA South Monthly Meeting, run by Reggie Jackson, is held on the 2nd Thursday of each month at 6:30 PM at Ryan’s Restaurant located at 5425 North Henry Blvd in Stockbridge, GA (Map). 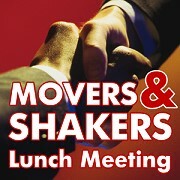 Please show up at 6:30 PM to eat and network before the meeting officially starts at 7:00 PM. Atlanta REIA Members may attend at no charge. Guests may attend for $5.00. Immediately after the Atlanta REIA South Monthly Meeting, we will reconvene at the Stockbridge Taco Mac (Map) for Late Nite Networking. We hope you will come out and eat, drink, network, learn and have fun with us! 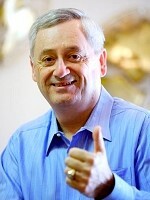 Would you like to spend a day with a real estate investing legend? This is your personal invitation to join Ron LeGrand at his Fast Track to Wealth Seminar on January 15th starting at 8AM (Registration starts at 7AM) at the Renaissance Atlanta Waverly Hotel located at 2450 Galleria Parkway SE in Atlanta, GA. Click here for more information or to register online. Movers and Shakers is a new educational and networking subgroup led by Gordon Catts for intermediate and advanced investors rather than new investors. The group meets on the 3rd Monday of each month at the 5 Seasons Brewing located at 3655 Old Milton Parkway in Alpharetta, GA (Map). The doors open at 11:00 AM and the program officially starts at 11:30 AM. 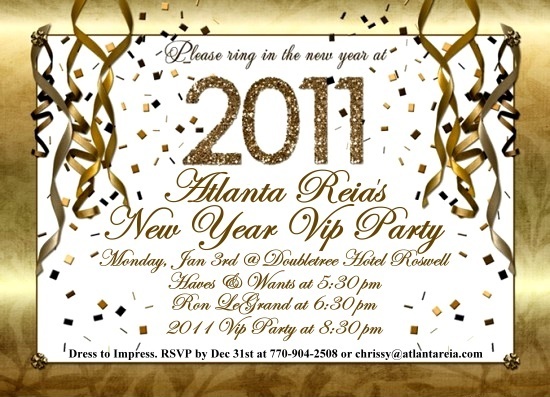 Atlanta REIA members can attend at no charge and non-members for $5.00. 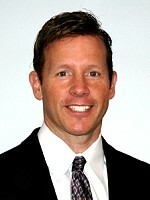 Dyches Boddiford will be giving his “State of the Real Estate Market Address” and tell us what is in store for active real estate investors in 2011 so don’t miss out! Don Derosa is this month’s special guest on the What’s Hot in Real Investing Webcast. Everyone has probably heard about the hot new iPad. This month, Don is going to show us how he uses the iPad as an integral TOOL to run his real estate investing business and not just as a TOY. Register for the Webcast Now! Atlanta REIA North meets on the 3rd Wednesday of each month at from 6:00 PM to 8:00 PM at 1960 Skylar Hill Dr, Suite D in Buford, GA (Map) in North Gwinnett County just a few miles from the Mall of GA. Special guests and topics to be announced soon. Atlanta REIA Members may attend at no charge. Guests may attend for $5.00. Immediately after the Atlanta REIA North Monthly Meeting, we will reconvene at the Mall of Georgia Taco Mac (Map) for Late Nite Networking. We hope you will come out and eat, drink, network, learn and have fun with us! On this special webcast, local real estate investor, expert and trainer Dyches Boddiford will be giving his “State of the Real Estate Market Address” and tell us what is in store for active real estate investors in 2011. This is a rare opportunity you don’t want to miss… Register for the Webcast Now! At this workshop, Gordon Catts will teach you insider secrets of locating property, lenders & other investors, as well as how to research ownership & mortgage information, sale prices, liens & judgments, etc. The Workshop will be on Saturday, Jan 22 from 9:30 AM – 4:30 PM at 1960 Skylar Hill Dr, Suite D in Buford, GA (Map). Click here for more information. Atlanta REIA Charter Membership Status Ends January 31st! 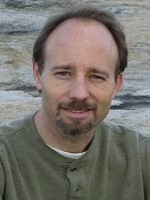 Our Charter Membership Drive, which began on October 4th, will end on January 31st, 2011. This does not mean that you can’t still become an Atlanta REIA Member, it just means that you will not forever be classified as a “Charter” or “Founding Member” of the Atlanta Real Estate Investors Alliance. Join Atlanta REIA Now for a little as $100/year! Again we thank you for your support! 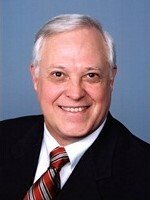 Were you on the webinar we just had with real estate investing legend Ron LeGrand? Can you believe the incredible information he shared with us? What’s that? You missed it? Oh no! Or maybe you were on the webinar, but your kids were making noise in the background, and you missed a Pearl of wisdom or two. Want to Learn Real Estate Investing From a Living Legend? 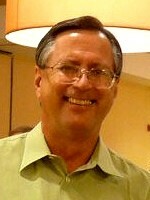 Last week, I interviewed the “Guru of all Real Estate Gurus,” Ron LeGrand. The webinar was an amazing success and we maxed out our available number of “seats”. We had quite a few people ask if there was a way they could watch a replay because they missed it or because there may have been a detail or two that they missed. You’re in luck. We recorded it! And you can see it below. Guess Who’s Coming to Atlanta? WOW! Did you read the blog post and email I sent to you yesterday? Did you hear the GREAT news? Clear your calendar for Tuesday, December 21st for 7:00 PM ET, because… We’re having a Webinar with the one and only RON LEGRAND!!! This is THE guy who has single-handedly taught an uncountable number of students how to do real estate deals so well that they became millionaires. December Meeting Was Our Best Meeting Yet! There is nothing like a good speaker and a party with free food to turn out the crowds! Last night was, without a doubt, our best Atlanta REIA Main Meeting yet. We want to personally thank David Lindahl for flying in to town and teaching us about commercial real estate as well as giving our members and guests free admission to his 2 Day Wealth Building Conference in Atlanta on December 11th and 12th. If you have not registered for the complimentary 2 day training, click here to Register Now for the Wealth Building Conference. We also want to thank everyone who attended and joined Atlanta REIA last night as Charter Members. We are off to a great start as the new REIA group in town and really appreciate your ongoing support. If you haven’t joined Atlanta REIA yet, click here for more information on our Membership Plans. Our Charter Membership Drive ends on January 31st. This doesn’t mean that you can’t still become a member of Atlanta REIA, it just means that you won’t be able to call yourself a Charter, Founding Member of Atlanta REIA… that small group of people and businesses too a chance on us and helped us get started. Thank you to all of our Charter Members. We really appreciate your support. 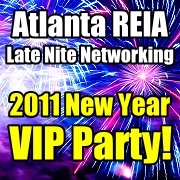 To help wrap up our Atlanta REIA Charter Membership Drive in January, we’ve asked Ron LeGrand to come speak to our group and focus on helping new investors get started making money in this down economy and trouble real estate market without having to spend a lot of their own money our use their own credit. Guests are welcome at next month’s meeting as well as any members of the Georgia Real Estate Investors Association (GaREIA), North Metro Real Estate Investors Association (North Metro REIA) or any other REIA groups. We hope you will come out and join us next month to see Ron and see what our real estate alliance is all about.